Vitex agnus-castus is a genus of deciduous flowering shrubs or small trees, also commonly known as chaste tree or false lilac. Unlike some flowering shrubs, vitex blooms on the current year's growth, so pruning should always be conducted in the late winter before new growth appears, according to Texas A&M University. Though the shrub will bloom without pruning, removing damage and thinning can increase performance. 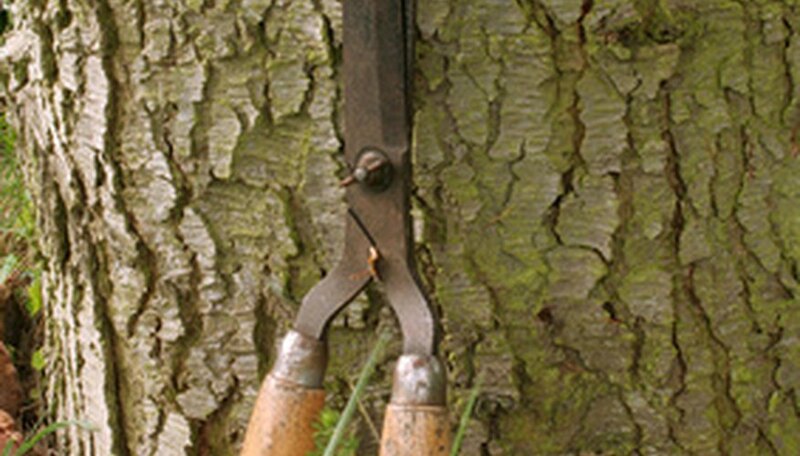 Cut away any weak, dead, diseased, broken or otherwise compromised branches. Place the cut down at the crown of the plant near the ground or back to a point of healthy woody tissue. Prune away any water sprouts growing from the lower trunk, inward growing branches, branches that cross and abrade one another or any other branches that congest or prevent good, even air flow and sunlight penetration into the center of the shrub. Place cuts back to the parent branch or down to the main trunk or ground as desired. Thin the shrub branching by removing roughly a third of the oldest and longest branches, placing the cut at the crown of the plant at the soil line. Reduce the spread of the height of the shrub overall as desired by trimming the tips of the branches to the desired length. Work around the entire shrub evenly to maintain a natural and roughly symmetrical form.